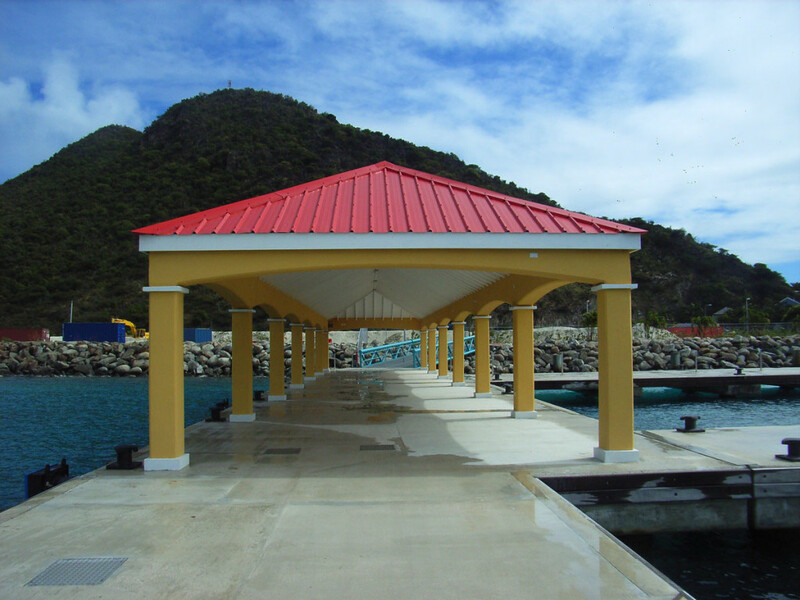 To replace the existing jetty at the A.C. Wathey Cruise Terminal a large facility for water taxi's was created. 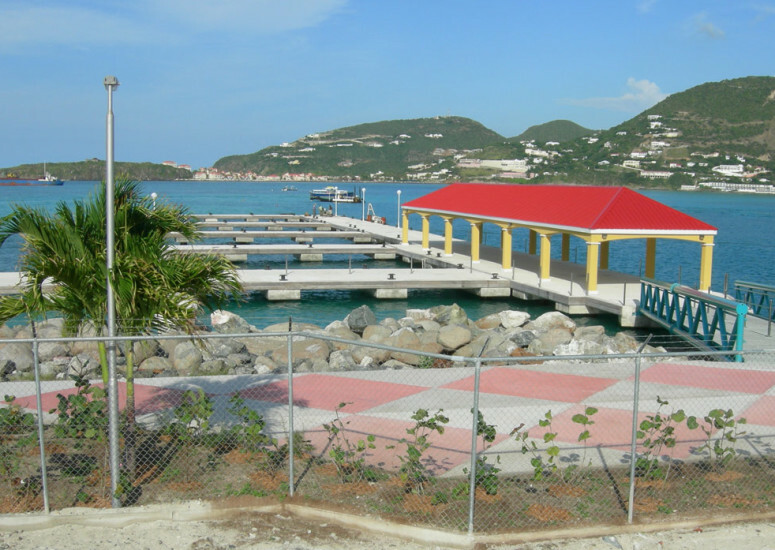 This in order to transport the increasing amount of visitors arriving by cruise ship to the Philipsburg area. The multipurpose pier can facilitate besides the water taxi's also smaller cruise vessels. 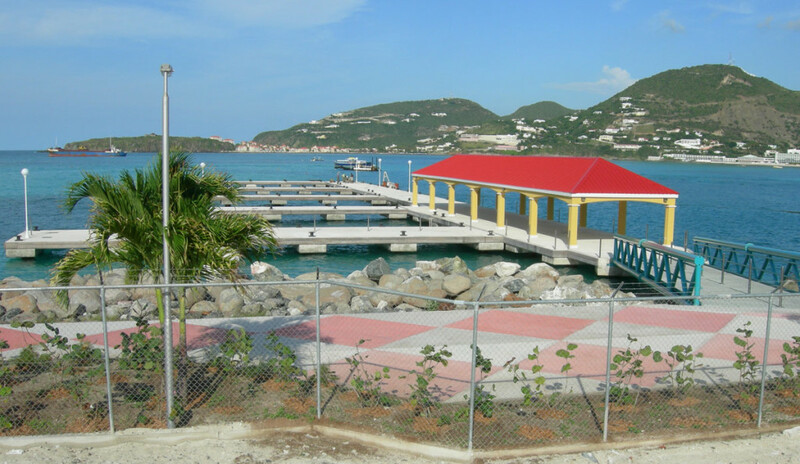 The jetty has been installed on steel piles and constructed with prefabricated concrete elements and finished with an in-situ poured concrete deck. A steel pedestrian bridge connects the jetty to the main land. 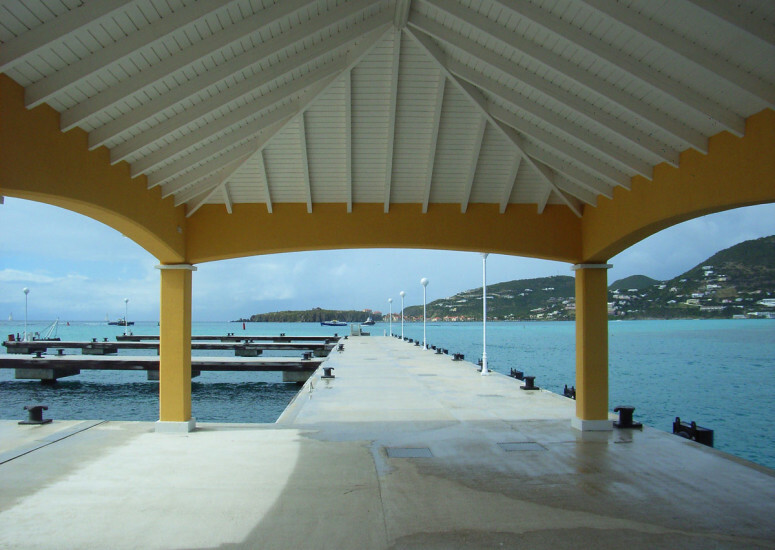 Furthermore a covered area was build on the main pier to provide sufficient shade. 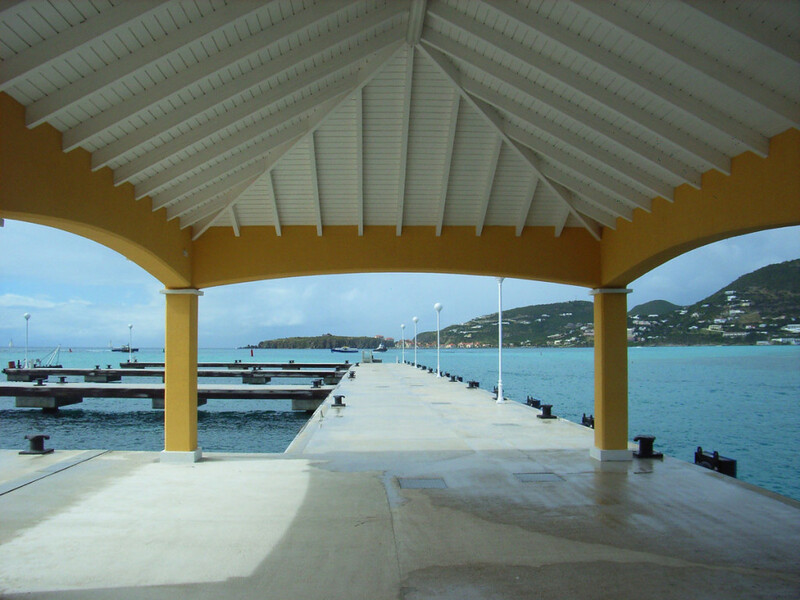 Sint Maarten Harbour Holding Company N.V.